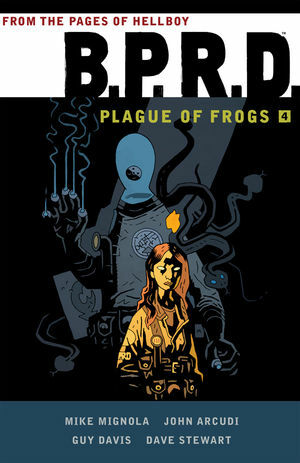 A story that began in the first issue of Hellboy concludes with the BPRD team set to permanently wipe out the subterranean colony of frog monsters. The team track down Memnan Saa?s hideout but soon find themselves in over their heads when old enemies like the Black Flame arrive to lay waste to the world. Collects B.P.R.D. : The Black Goddess, B.P.R.D. : The Warning, and B.P.R.D. : King of Fear.